To keep machinery running optimally, we have fully equipped service and repair facilities and manufacturer trained service technicians. 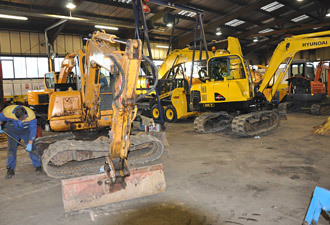 Our staff have specialist knowledge in the equipment we sell. We also offer on site repairs from all our locations. Why not let us carry out oil sampling on your construction equipment to help prolong the life of travel motors, hydraulic systems and swing motors etc. We also offer a comprehensive contract maintenance scheme and extended warranty. Contact our construction branches now and find out more. Did you know as a company we offer the following repairs? 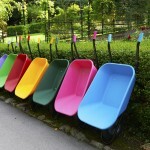 Why not ask us to quote to prepare your harvesting equipment for the forthcoming harvest season. We also offer a wide range of repairs for agricultural equipment on and off site using well-equipped service vans. 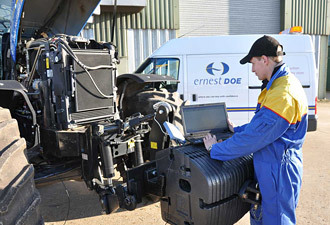 Why not let us carry out oil sampling on your construction equipment to help prolong the life of travel motors, hydraulic systems and swing motors. We also offer a comprehensive contract maintenance scheme and extended warranty. Contact our construction branches now and find out more. 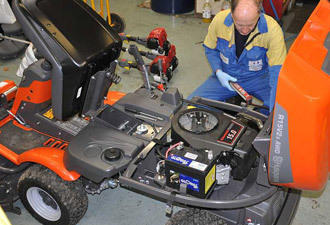 We currently have repair and maintenance programmes running on our domestic and professional groundcare machinery in fully equipped workshops. Special offers on repairs and servicing are available upon request. Contact your local branch for further information.